The University Charter is the fundamental document that regulates the university in its academic space. Drafting the Charter was carried out according to the Law of National Education no.1/2011, and other central laws and regulations. 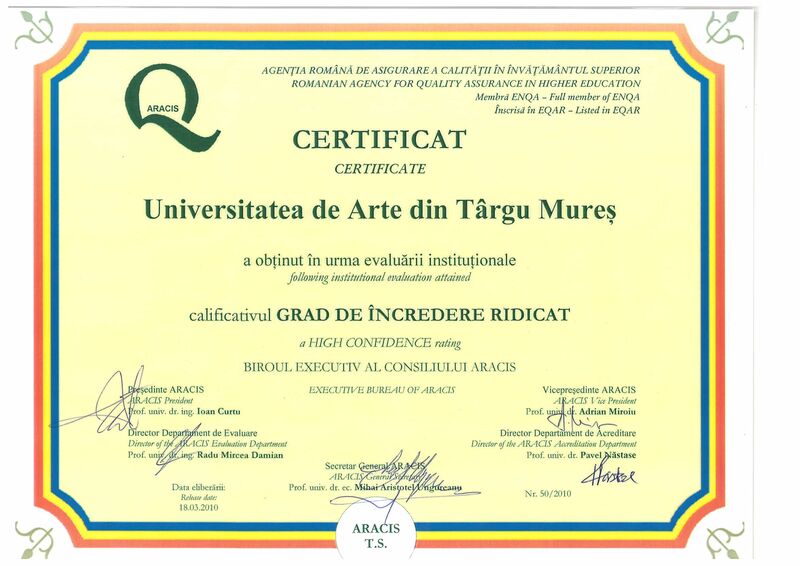 The Charter is based on the principles of university autonomy, academic freedom, the ethical integrity, managerial structures of eligibility and it was approved by MECTS by letter no. 64492/06.12.2011 and was popularised to the academic community in the University’s publications, including the Internet.